Location: 6 Promethean Way, Robina – Sunkids Robina Stadium Child Care Centre Construction. Following the successful construction of a child care centre in Sunnybank Hills, then another on Scottsdale Dr Robina, this 105 place centre will be the third project for the same client. This is a 865m2 Child Care Centre on 2302m2 of land along with a 18 car parks for staff and customer parking, both the child care building and play scape was constructed to a turn-key finish. 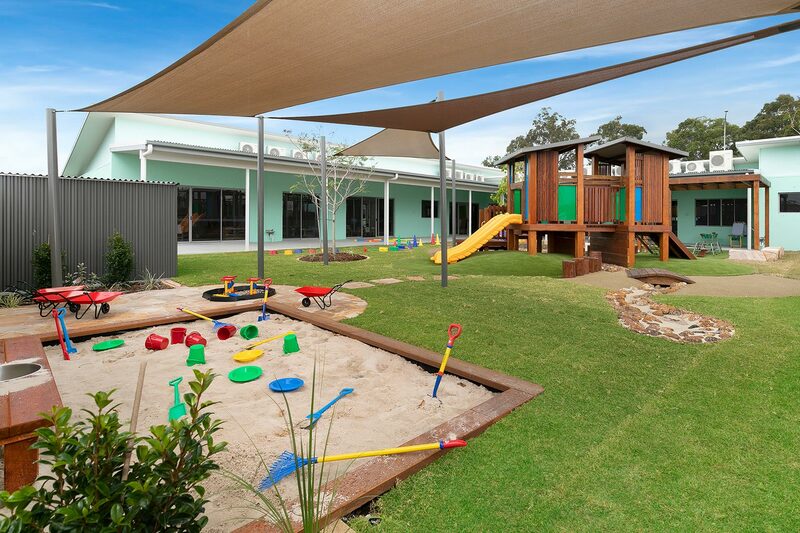 Complete with 9 underground detention tanks, entertainment areas, two sandpits, shade sails, natural environment, landscaping, play equipment softfall and artificial turf. Commencing October 2017 this centre was completed and ready to open in May 2018.